The Federal Communications Commission said Friday it has pulled the plug on its controversial study that proposed sending researchers into the stations it licenses to inquire about the editorial process. "In the course of FCC review and public comment, concerns were raised that some of the questions may not have been appropriate. Chairman [Tom] Wheeler agreed that survey questions in the study directed toward media outlet managers, news directors and reporters overstepped the bounds of what is required. Last week, chairman Wheeler informed lawmakers that the commission has no intention of regulating political or other speech of journalists or broadcasters and would be modifying the draft study. 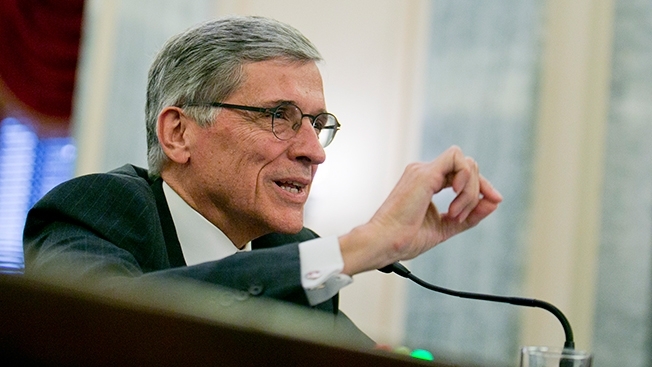 Yesterday, the chairman directed that those questions be removed entirely," the FCC said in a statement. The only question is, why did it take the commission so long to realize the study, which sent researchers into newsrooms to ask about the news philosophy, story selection and what stories where rejected and why, was a violation of freedom of the press. If it wasn't for a column by commissioner Ajit Pai in The Wall Street Journal and 16 GOP members of the House commerce committee accusing the commission of bringing back the Fairness Doctrine, the study may have quietly gone through. "This study would have thrust the federal government into newsrooms across the country, somewhere it just doesn't belong," Pai said in a statement. "This commission has not recognized that no study by the federal government, now or in the future, should involve asking questions to media owners, news directors or reporters about their practices. This is an important victory for the First Amendment." The so-called CIN for Critical Information Needs study was proposed last fall to fulfill the agency's congressional requirement to report on barriers that may keep minorities, entrepreneurs and other small businesses from competing in the media marketplace.